Hi, Just some of the day to day events here at Cherwell Leys. Grass is starting to grow, February is unusually mild. Hoping we had all our winter snow last year. At least the nights are slowly starting to draw out. 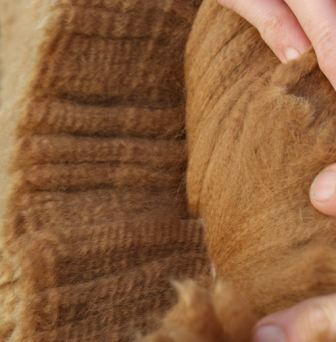 I am busy spinning some fine alpaca for hand knitting, so the weather today has given me a head start. We have just weaned some more cria, we move their mums away and leave the young ones with a couple of aunties for company. The mums are pleased that they are onto fresh grass and can catch up with their friends without the young ones bothering them. The cria are just pleased to be let off the leash and have fun. We had a very successful year 2010 gave us the best female percentage so far, Star lived up to his name, nearly all his progeny were female and what crackers too, beautiful fleeces, CWL Jasper looks to have a promising future as a future herd sire. 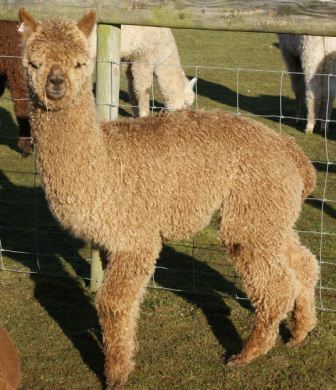 Currently up for sale with his mum CWL Blissful, until weaned. 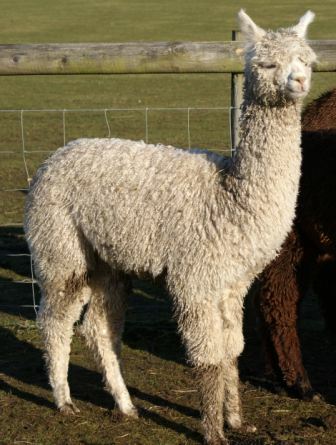 EPC Regency had an excellent year, his females have the most exciting fleeces and a fawn male he has produced with Tinker is one to watch, excellent fleece and uniform colour. Today was lovely, a break in the weather to sunshine, saturday it had rained. Our visitors to the farm to see the alpacas were able to wander through the paddocks and we could show fleeces and chat about alpacas and how easy they are to care for, how little land they take up and what you can get in return. 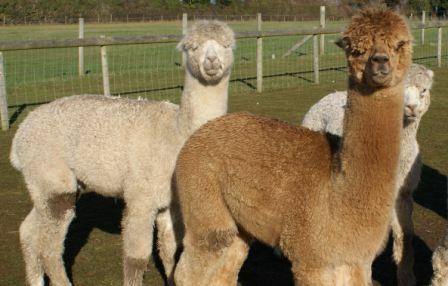 We are very lucky here at Cherwell Leys, people who visit us on the caravan site, get to know our alpacas and then offer to come and help us with their husbandry, a little like adopted grand parents, they can hand us back our alpacas after having a fun day out.